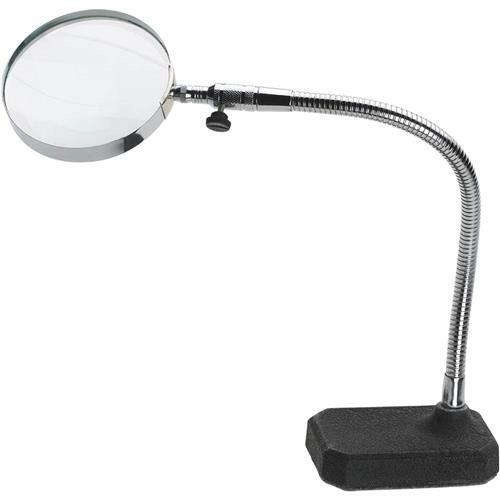 For close-up, hands-free viewing, this Flexible Neck Magnifier offers 2-power magnification, a 12" flexible arm and a felt protected cast iron base. The 4" lens is completely adjustable for any application. Great for precision assembly work.